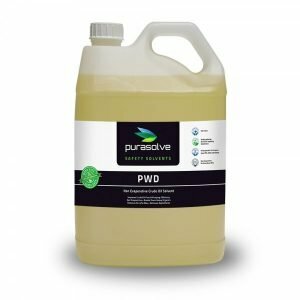 A powerful bio-based cleaner and degreaser that enhances workplace safety without compromising performance. Triple7 Colloidal Concentrate is a unique surfactant cleaner cleans virtually any surface which can be exposed to water. 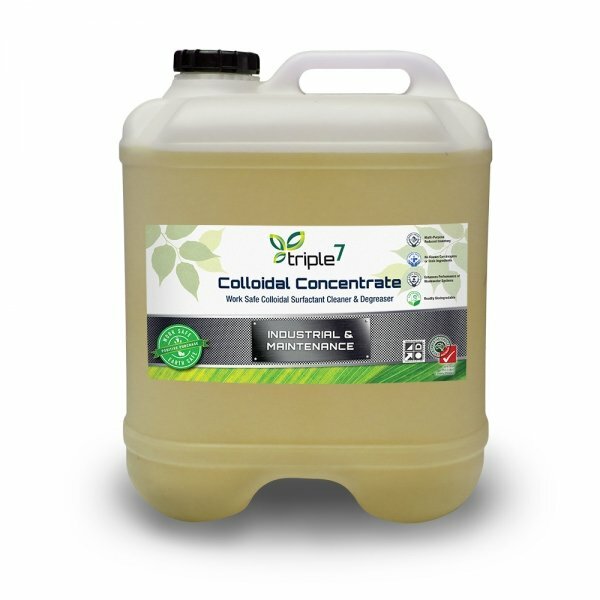 Triple7 Colloidal Concentrate is applied via wiping, misting, pressure washers or soak-tanks. The product is non-corrosive and safe for elastomeric seals. After cleaning fabric and carpets, completely rinse product extract to avoid soil redeposition. Triple7 Colloidal Concentrate has a unique cleaning action which actually lifts, separates and holds the soiling in suspension. The hyperactivity of minute particles (micelles), breaks the surface tension of water and in effect cause dirt and oils to separate from the water, without damaging the cleaning surface.. 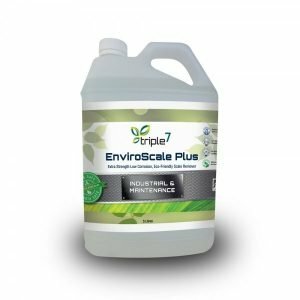 Unlike caustic cleaners, Triple7 Colloidal Concentrate releases soiling without reacting with the cleaning surface, making it safe for metals, plastics, rubbers and fabrics. Triple7 Colloidal Concentrate enhances the functioning of oil/water separators, making your systems perform better, increasing system capacity, reducing maintenance costs, and enabling water recycling. The product eliminates odours and is harmless to sewer bacteria. 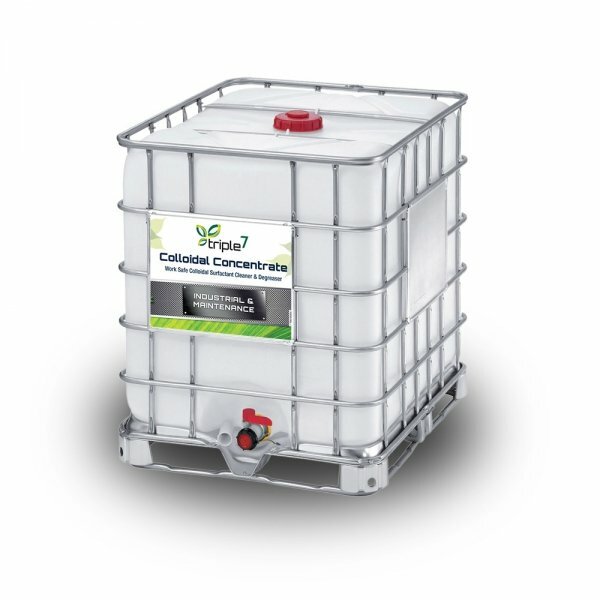 Triple7 Colloidal Concentrate has no Hazchem rating so it needs no special storage areas, lowering the cost of transport, handling and storage. It is also non-reactive with other chemicals, which minimises hazardous conditions. Triple7 Colloidal Concentrate is highly concentrated, so a little goes a long way. Plus, you can use the product for so many different applications – you don’t need a lot of different products – making it simple for your staff to use. Triple7 Colloidal Concentrate does not contain chemicals determined by the EPA or OH&S to be carcinogenic or suspected carcinogens, therefore you are preventing future litigation claims. You can replace hazardous products without changing equipment or procedures and because Triple7 Colloidal Concentrate is free of hazardous air pollutants, ozone depleting chemicals, toxic chemicals and VOC’s, it is safe to use in confined areas. Triple7 Colloidal Concentrate contains no ozone depleting chemicals or hazardous air pollutants and the product is readily biodegradable. Furthermore, Triple7 Colloidal Concentrate will not upset the balance of nature’s ecosystems and you will have no problem with run-off polluting our waterways. 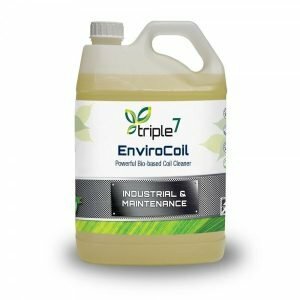 Triple7 Colloidal Concentrate may be applied manually, through sprayers, pressure washers, steam cleaners, auto scrubbers, parts washers, ultrasonics, dip baths or foaming, washing and dispensing equipment. 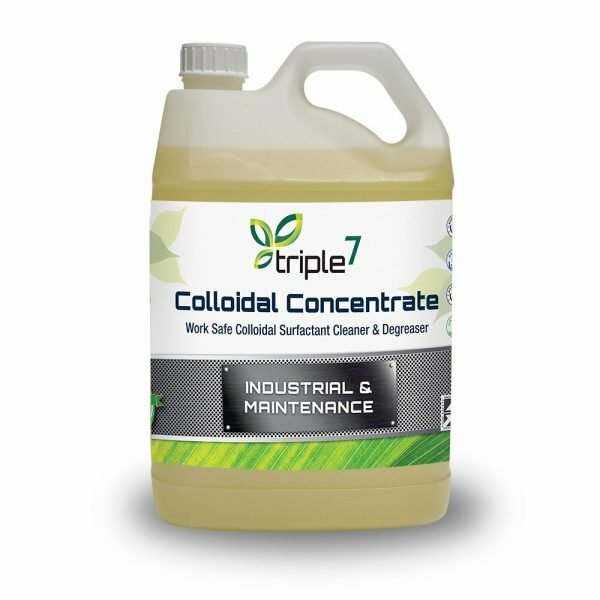 Triple7 Colloidal Concentrate is a moderate sudsing, free rinsing organic release agent, that is highly miscible in water and may be rinsed with hot or cold water. Because Triple7 Colloidal Concentrate is non-corrosive, it is safe for metals, rubber and virtually all other surfaces. 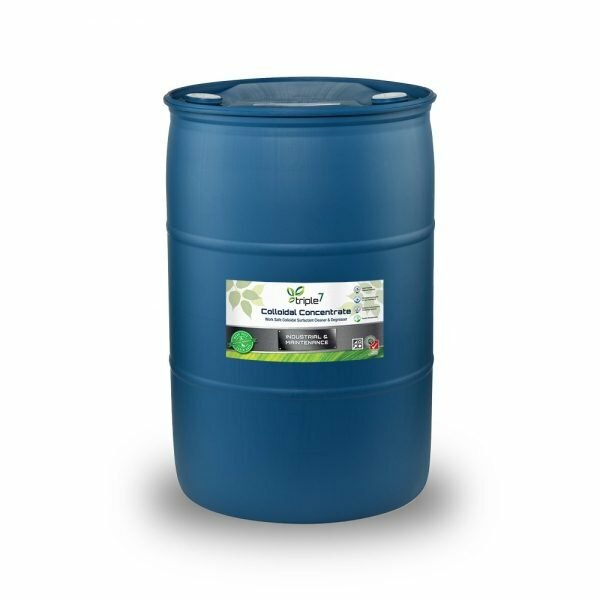 Triple7 Colloidal Concentrate is Organic Listed and has accreditation making it a powerful cleaner that is safe to use in Registered Meat Establishments.